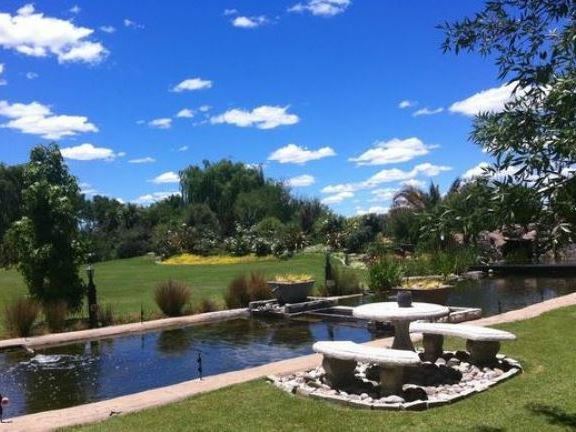 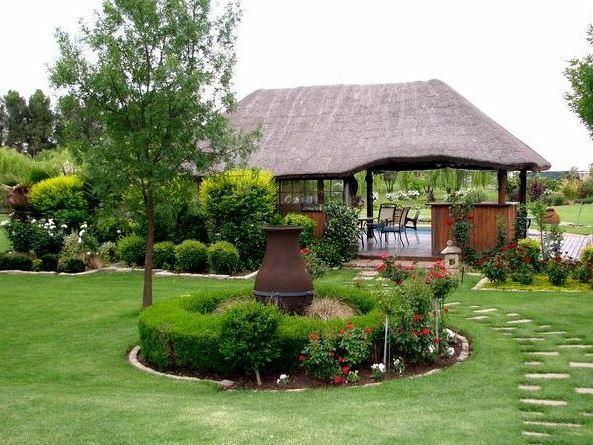 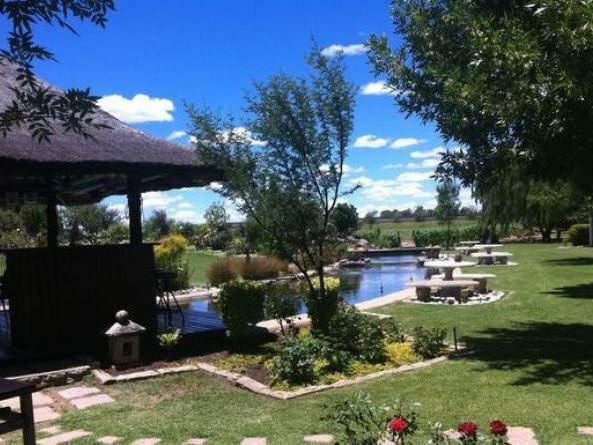 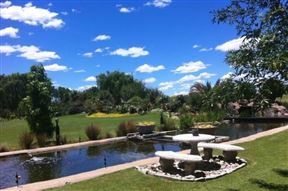 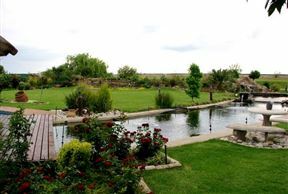 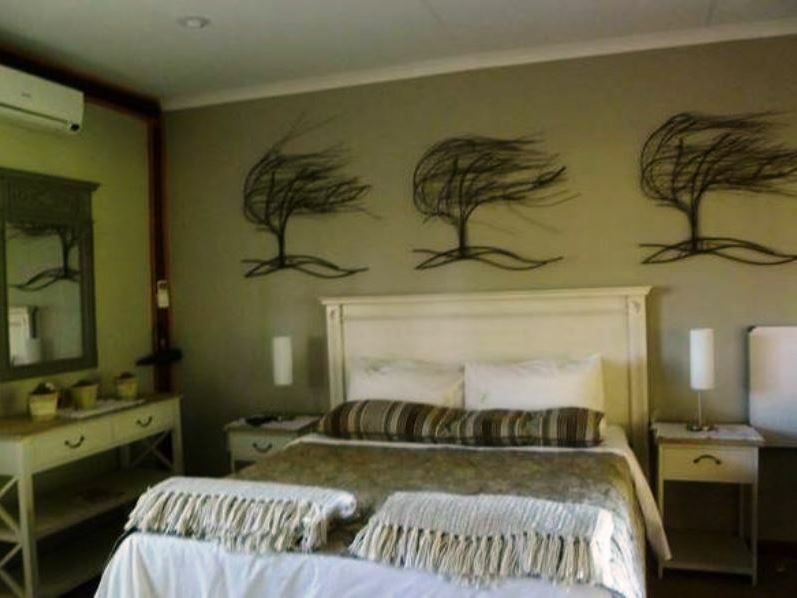 Tuff Top Estates is situated 15km out of Bloemfontein and only five minutes from the Bloemfontein airport, on the banks of the Renosterspruit. 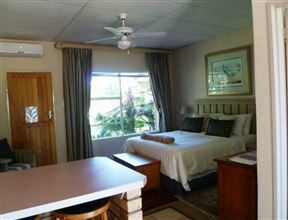 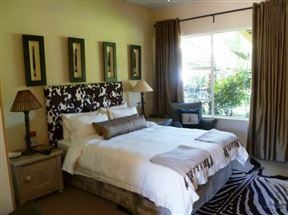 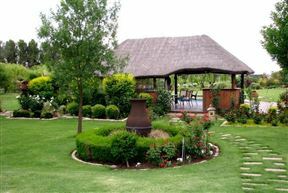 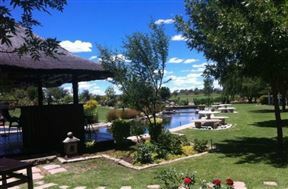 Our accommodation is nestled amid a large, beautiful garden. 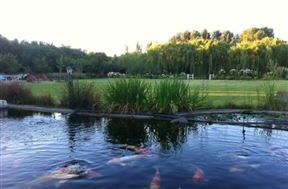 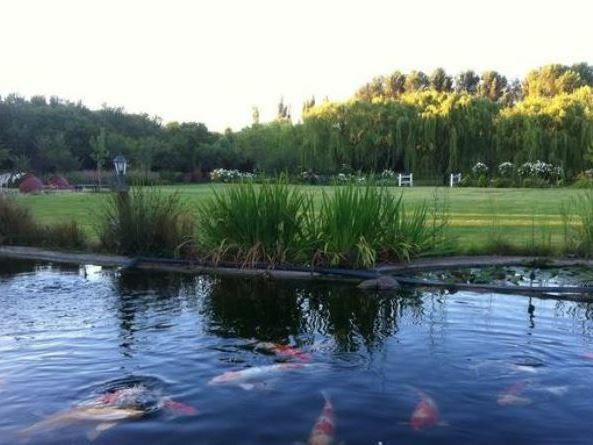 Which features a variety of trees, green lawns and a spectacular water feature with a long Koi pond, abundant in high-quality Koi fish. 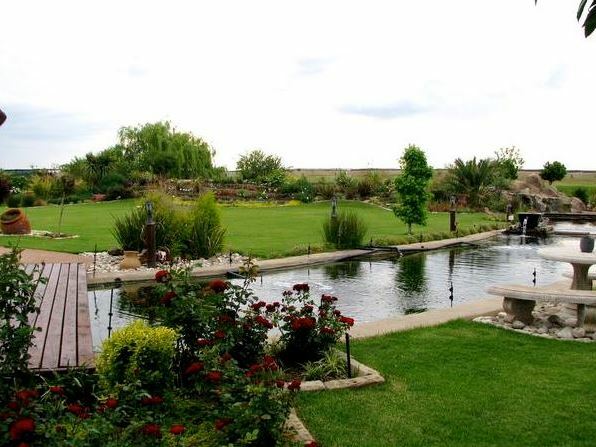 This tranquil piece of land invites guests from all walks of life to enjoy these unique surroundings and to relax amidst nature. 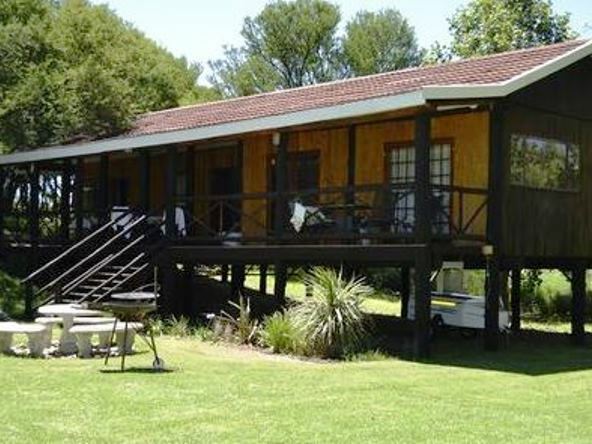 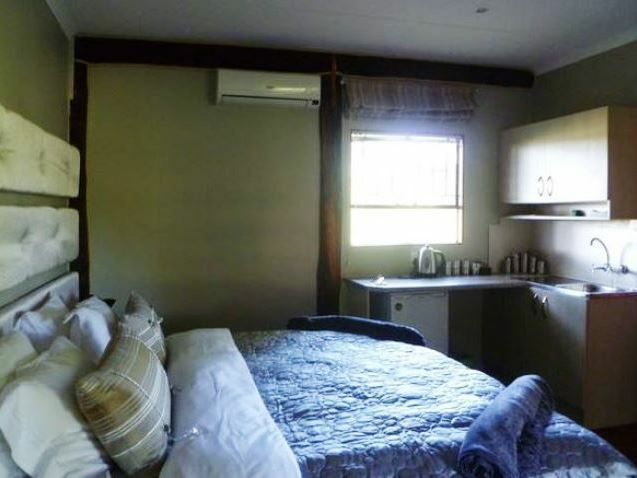 Accommodation consists of seven double rooms that are adjacent to the Koi pond, three rooms with river views, a veranda and a communal kitchen, a wooden chalet for that little bit more privacy and two double rooms in the main house.